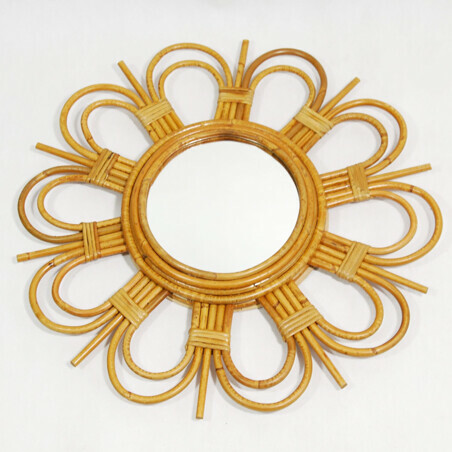 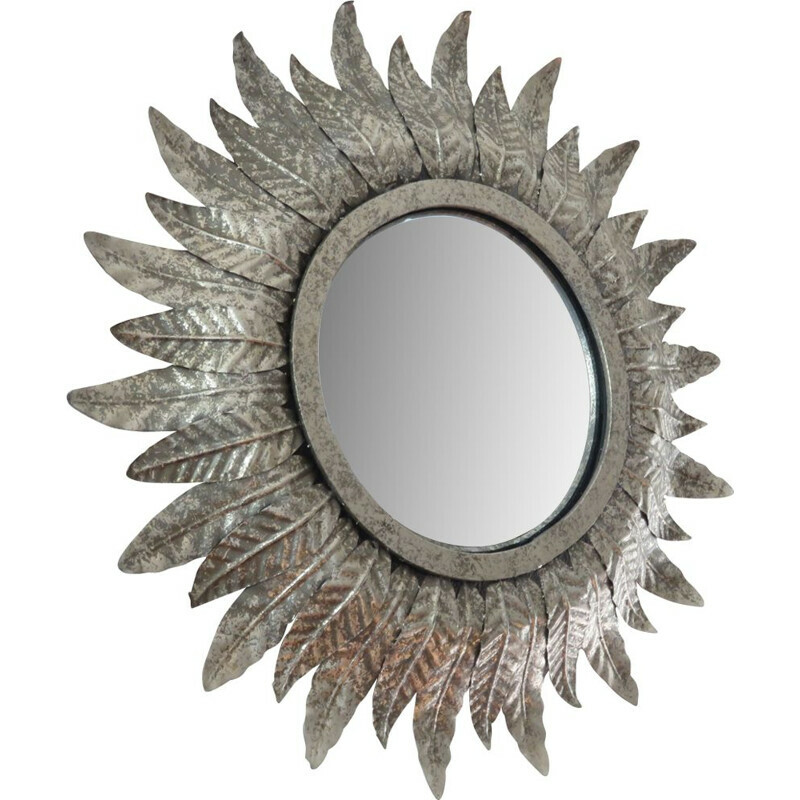 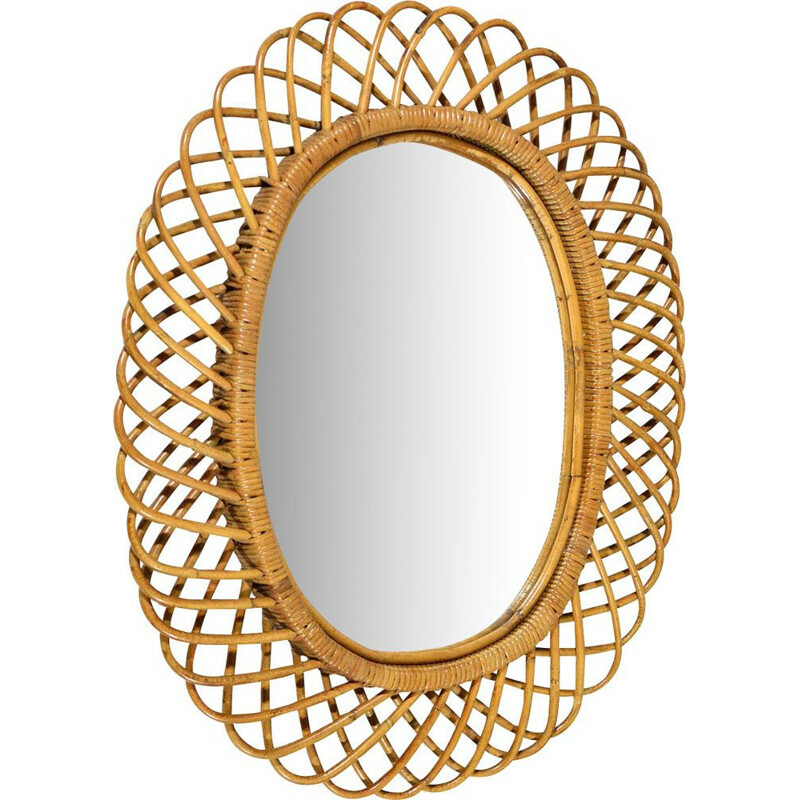 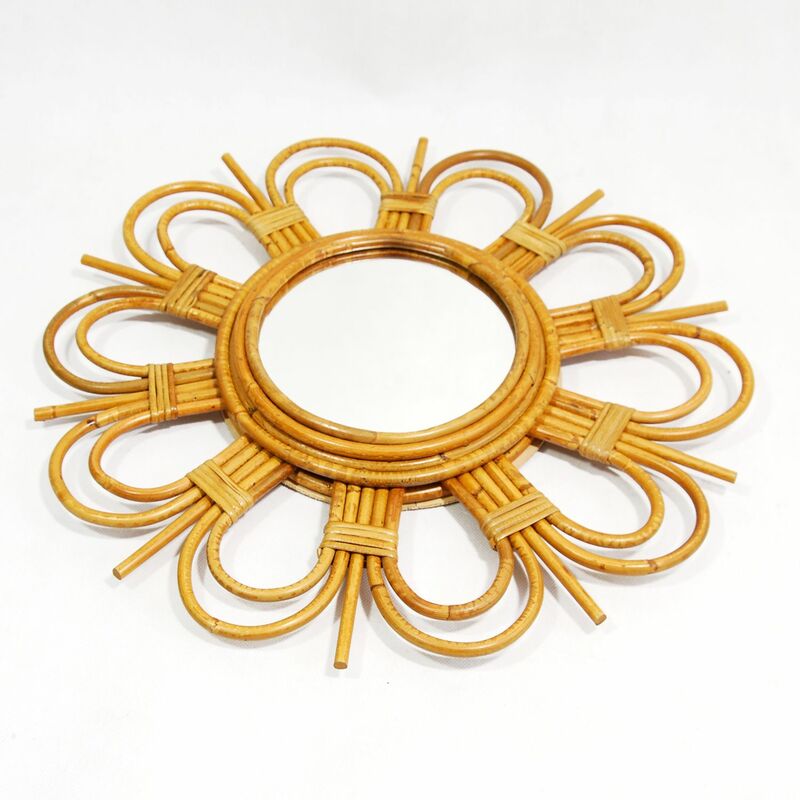 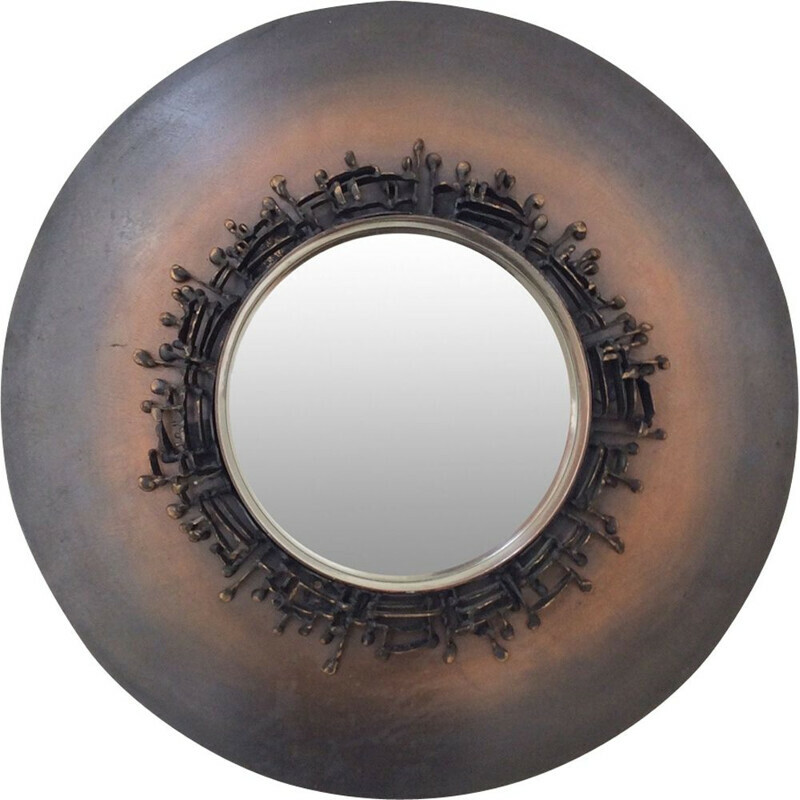 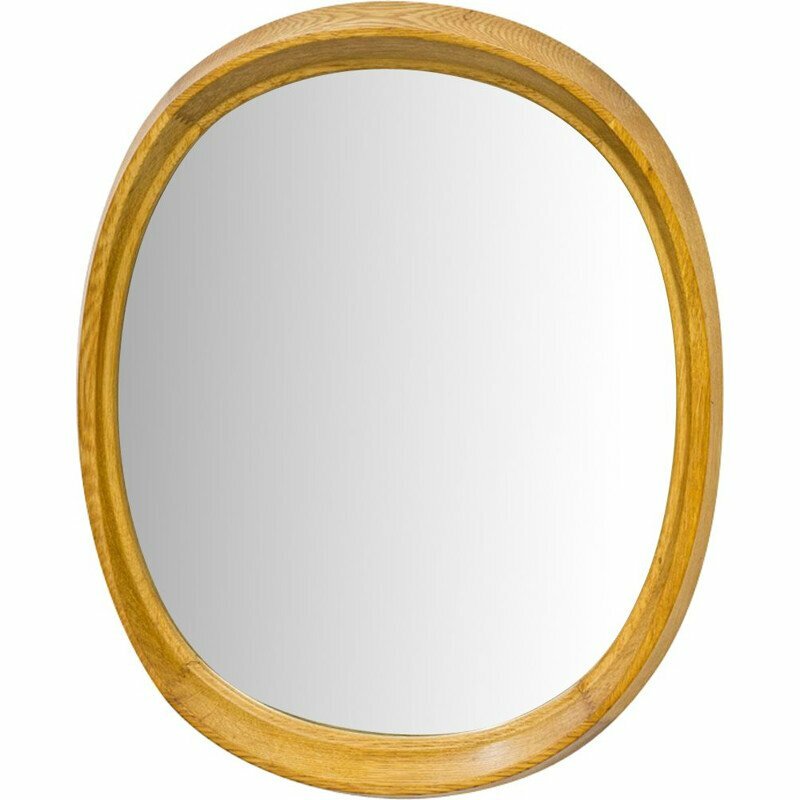 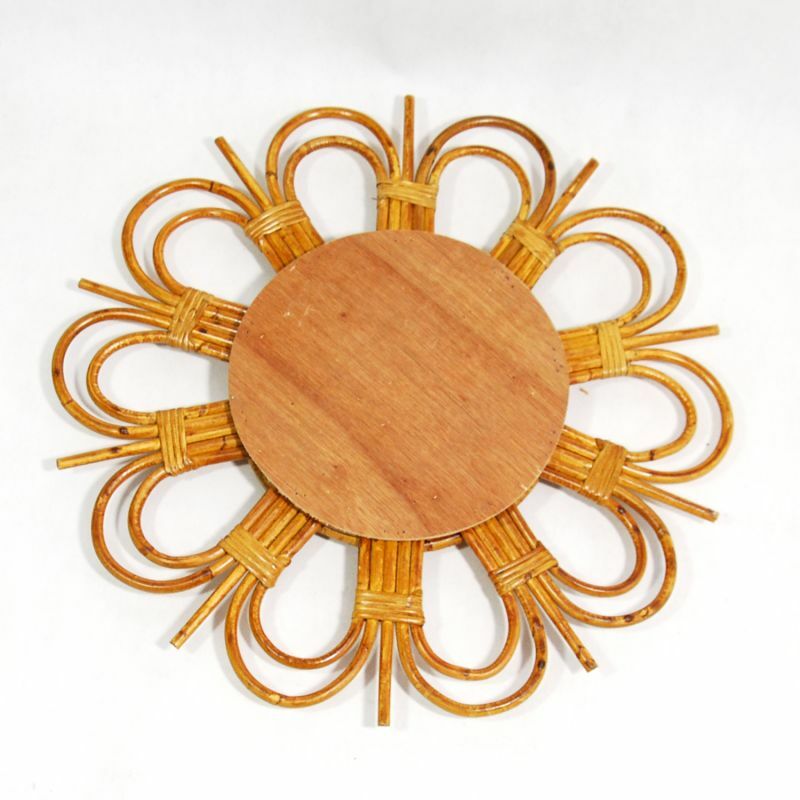 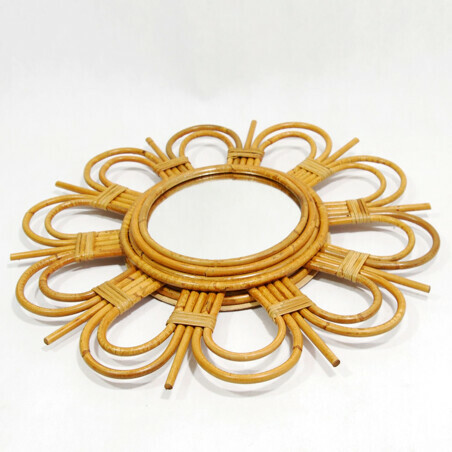 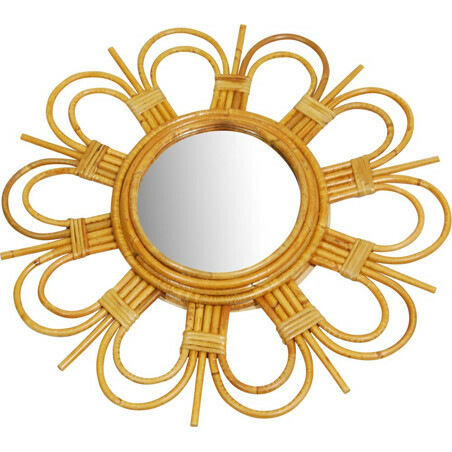 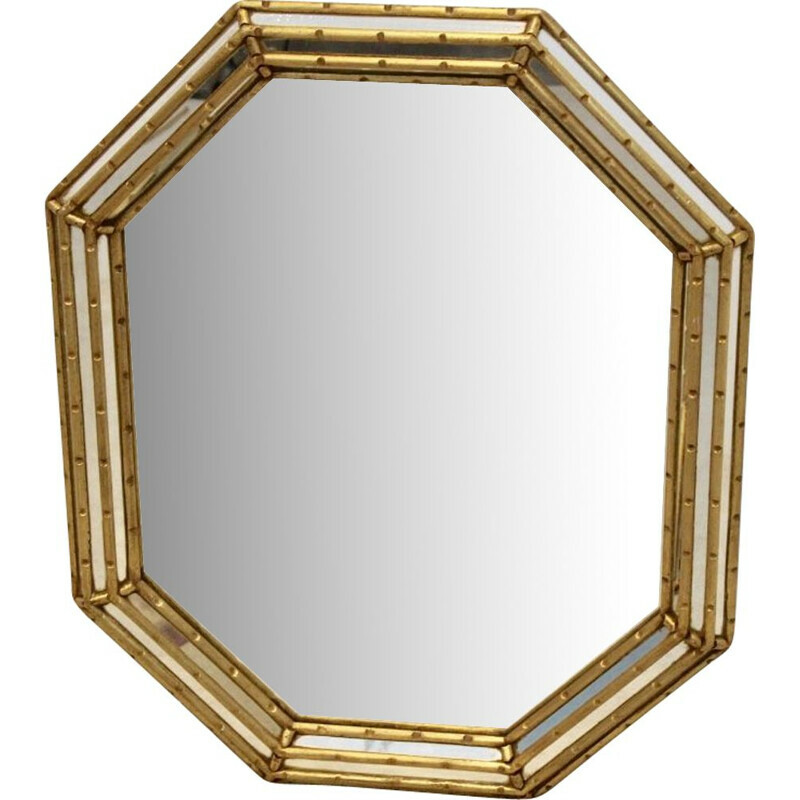 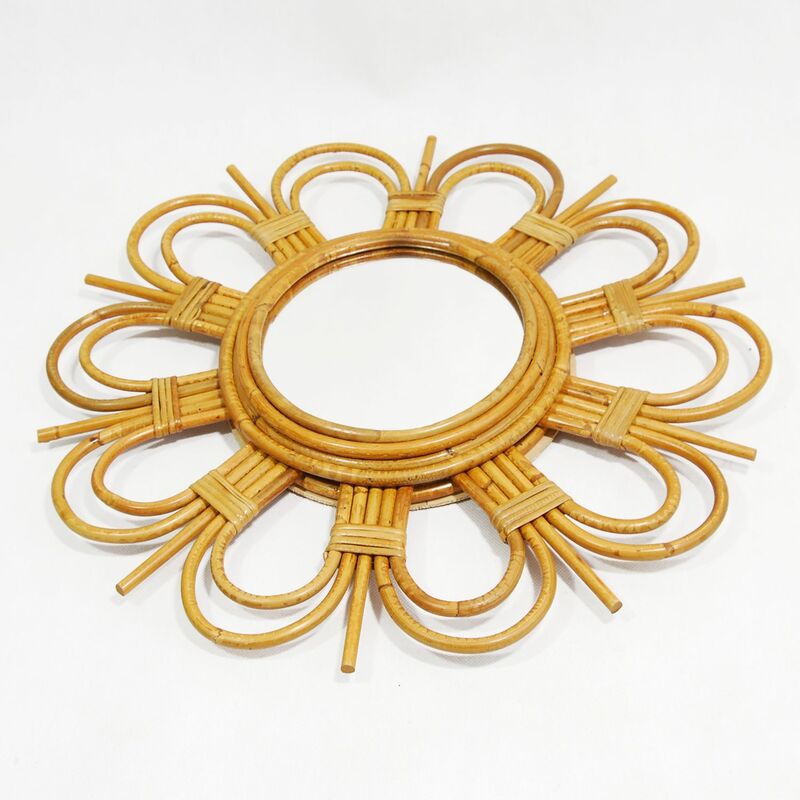 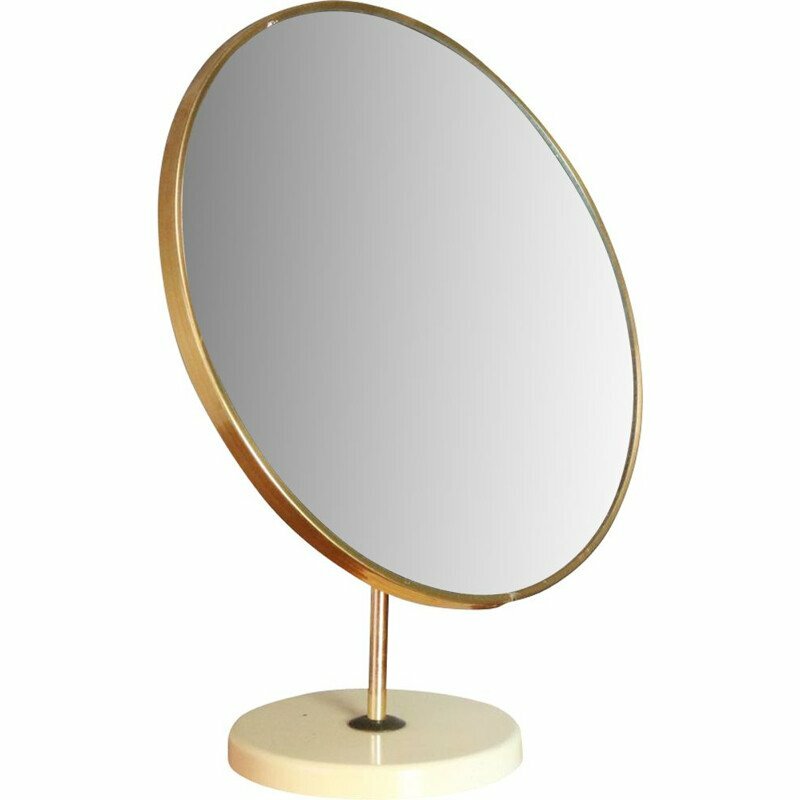 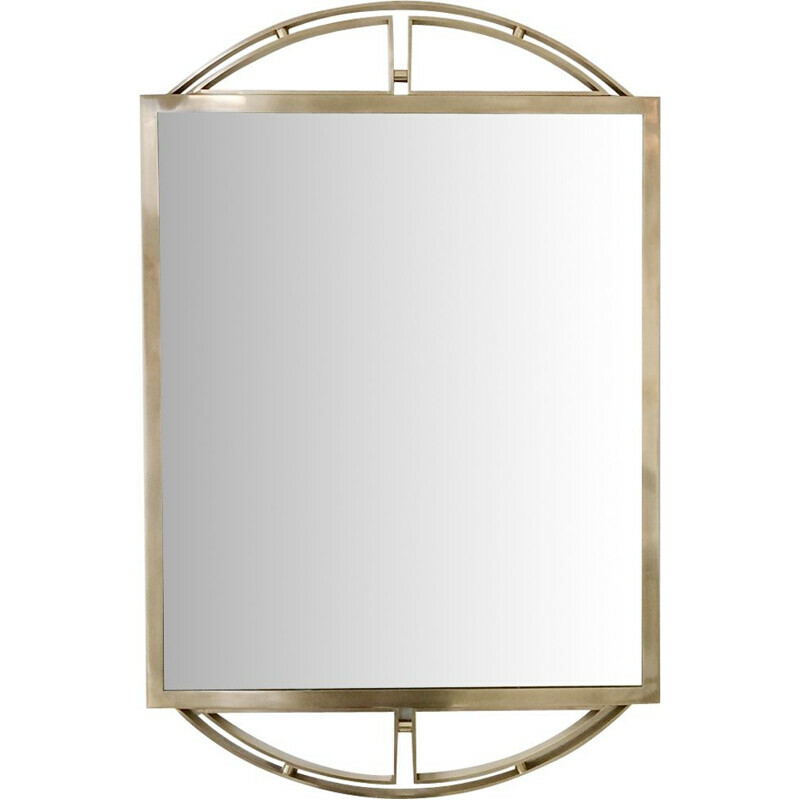 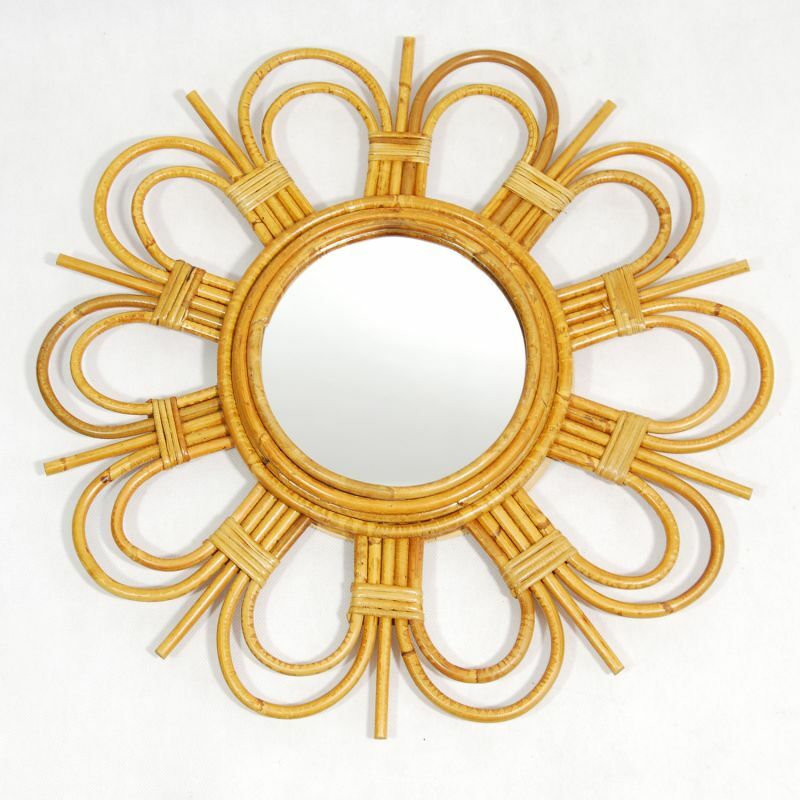 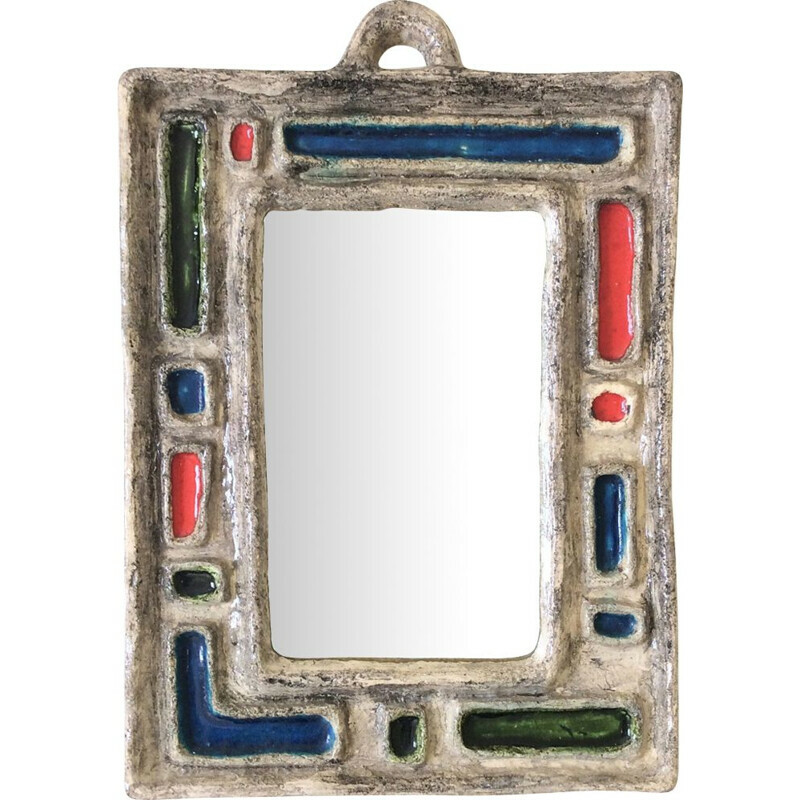 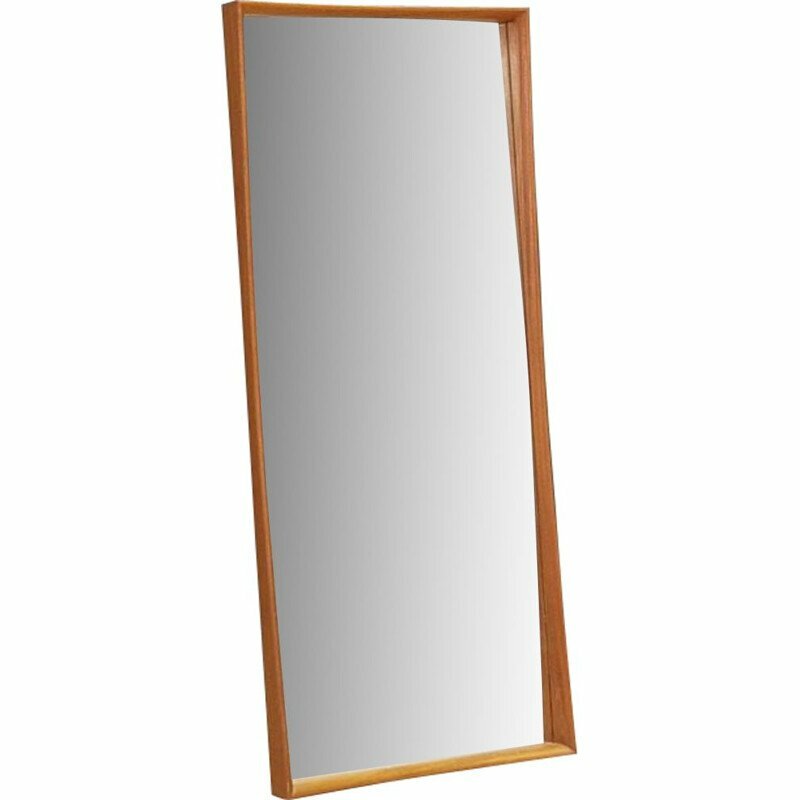 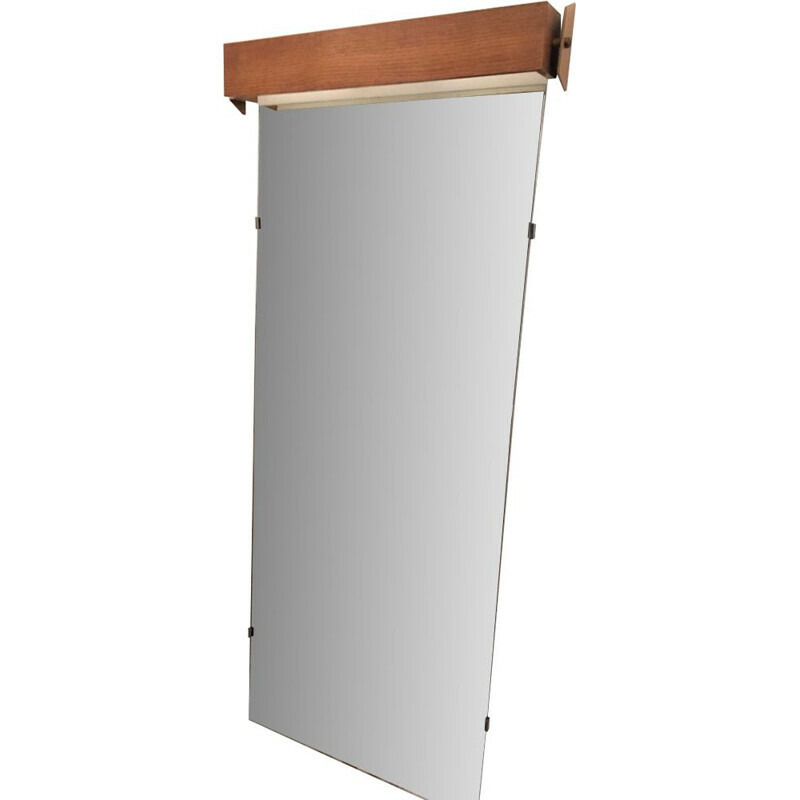 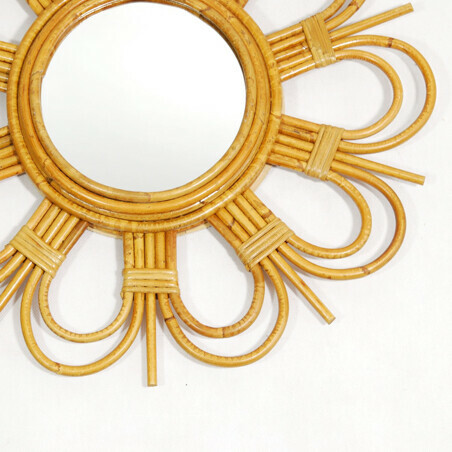 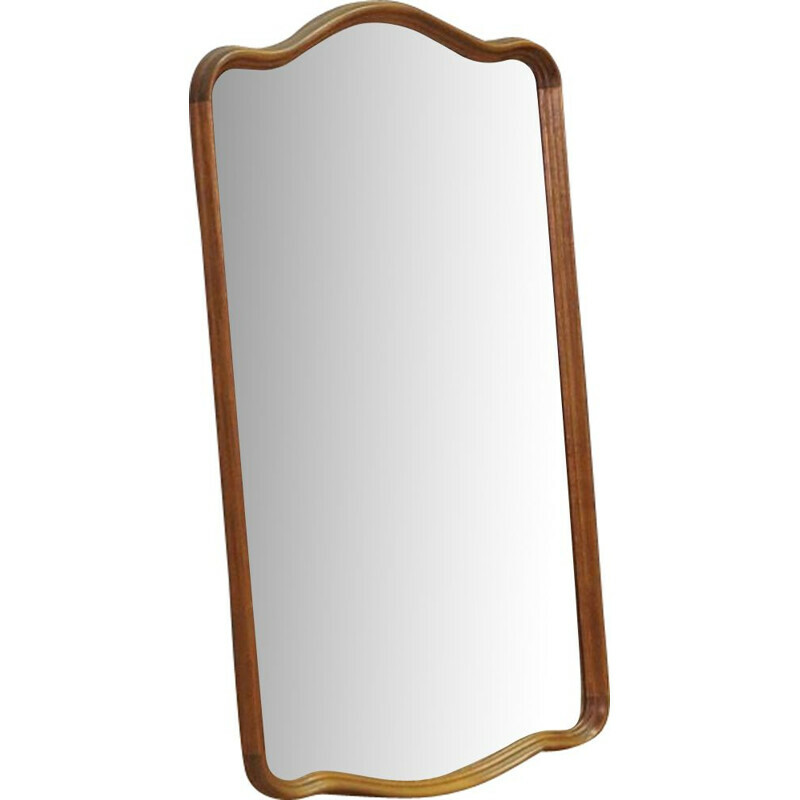 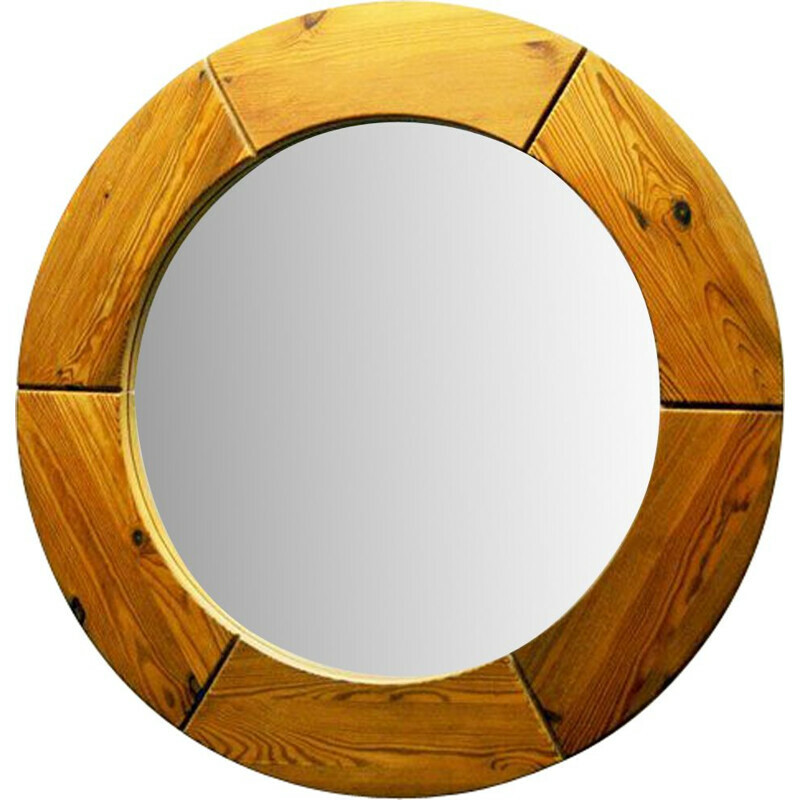 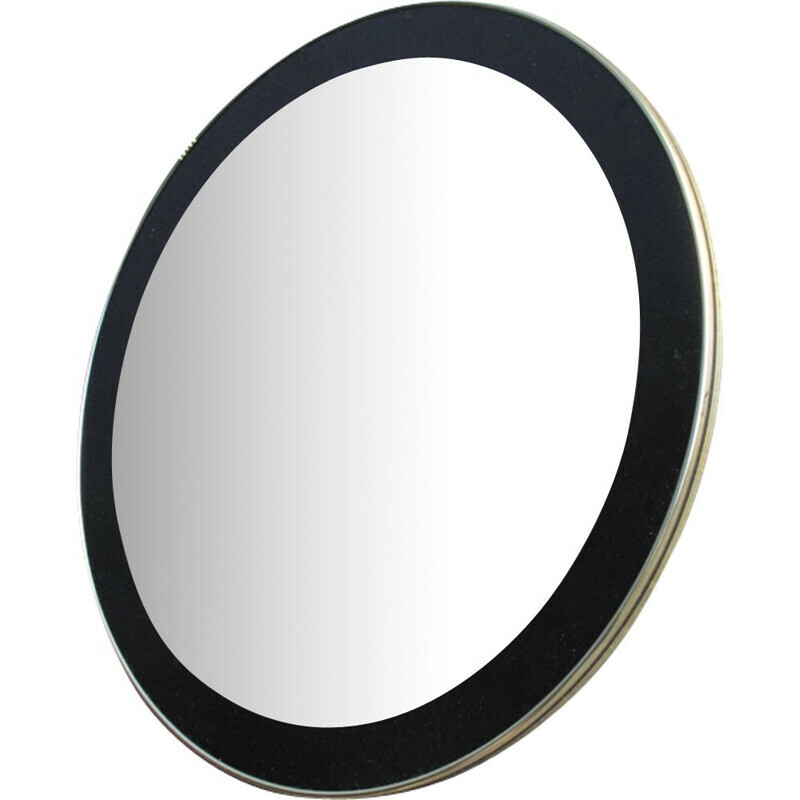 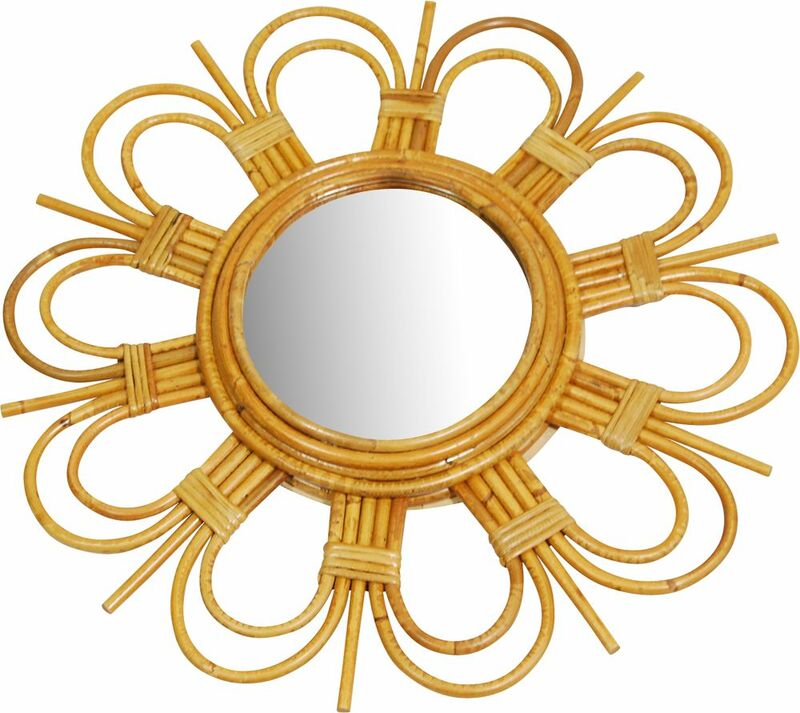 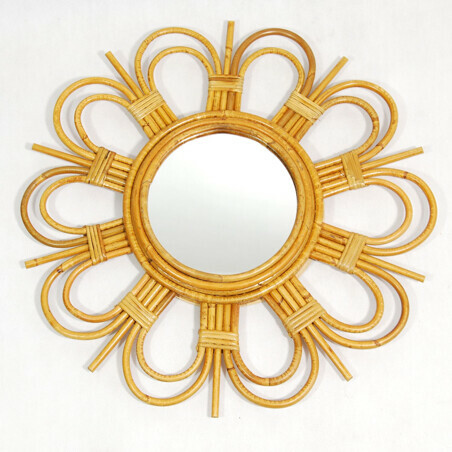 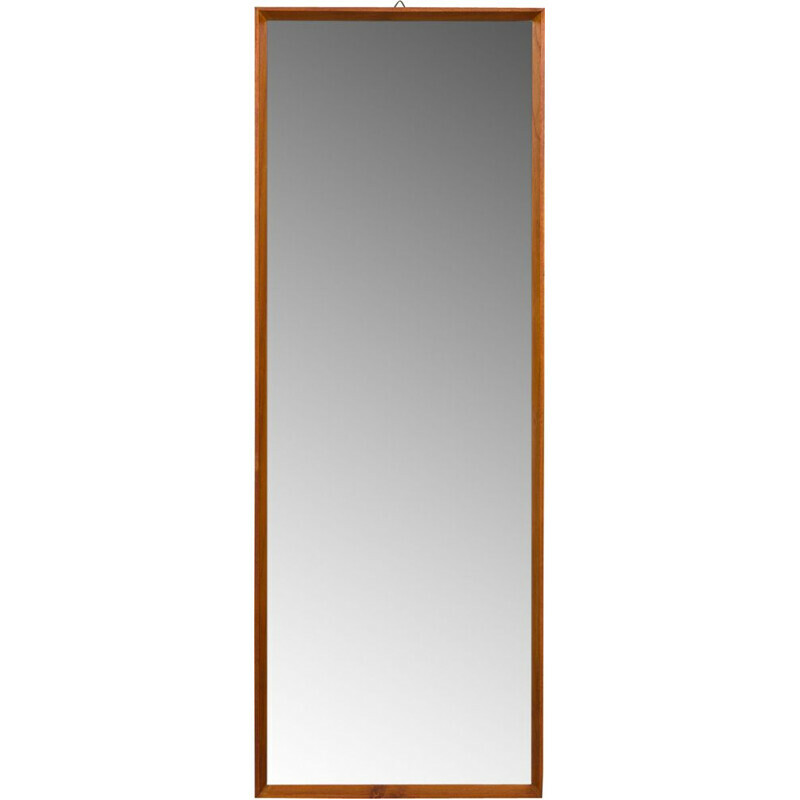 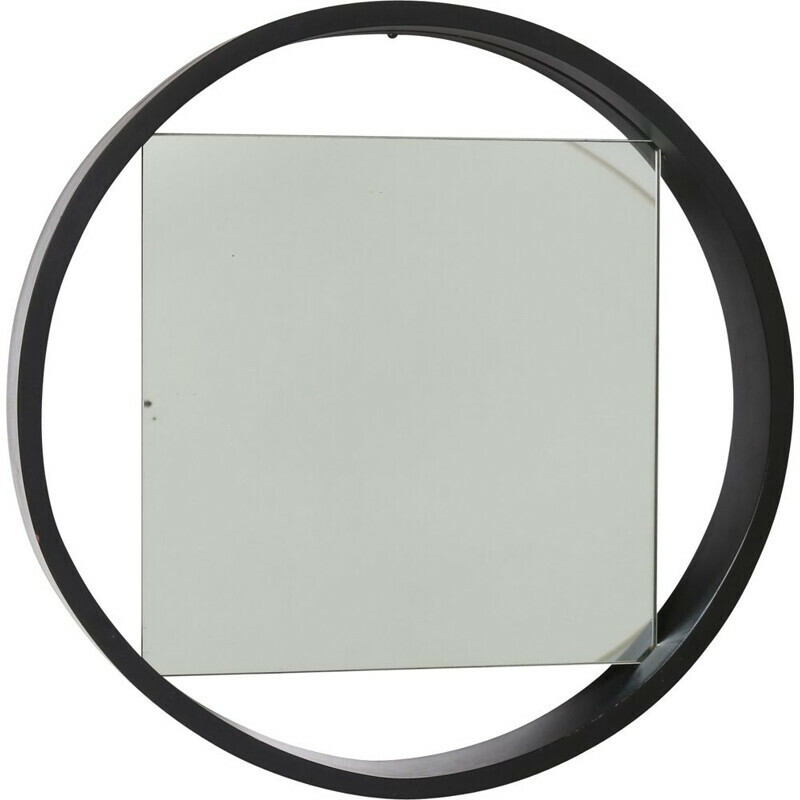 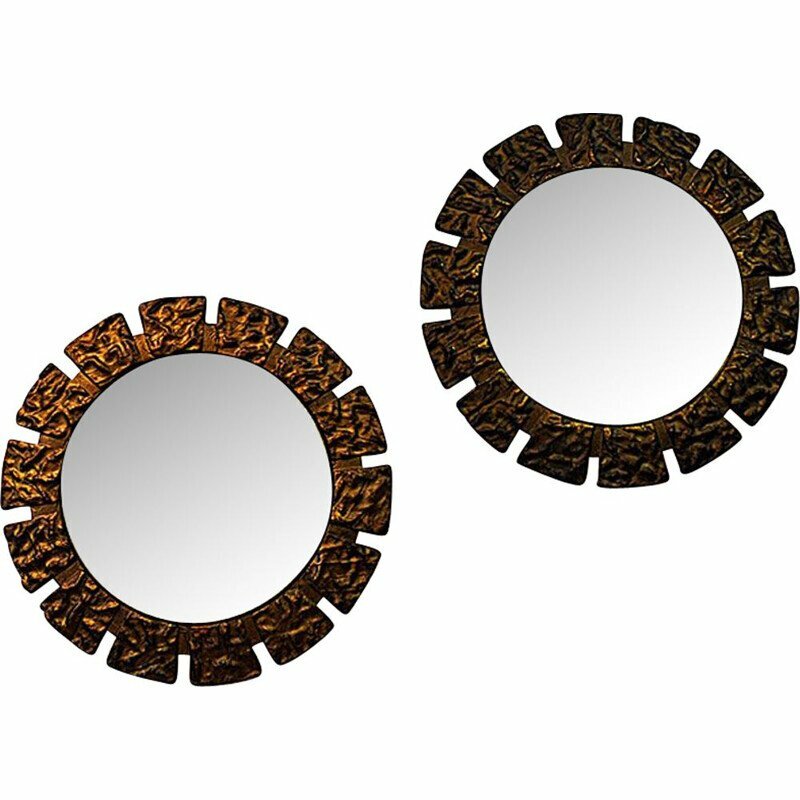 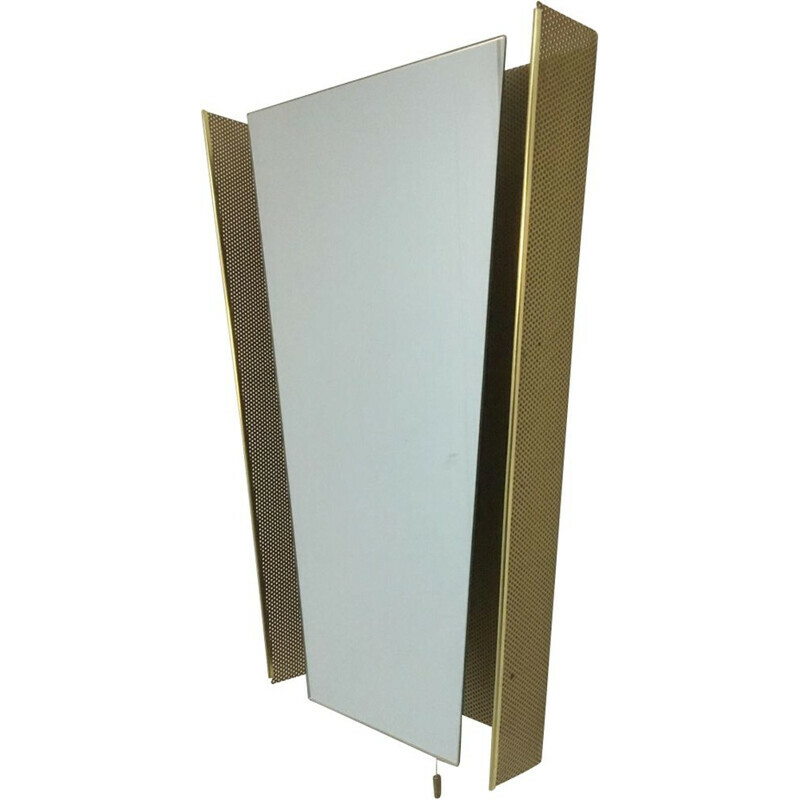 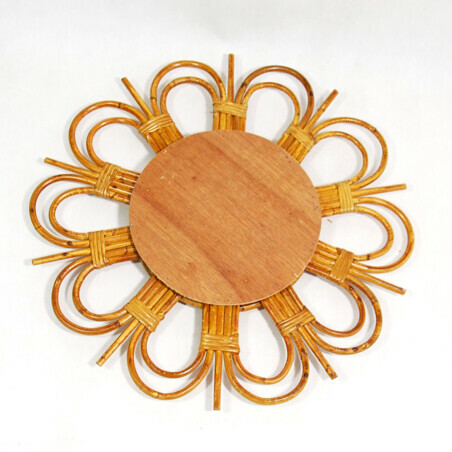 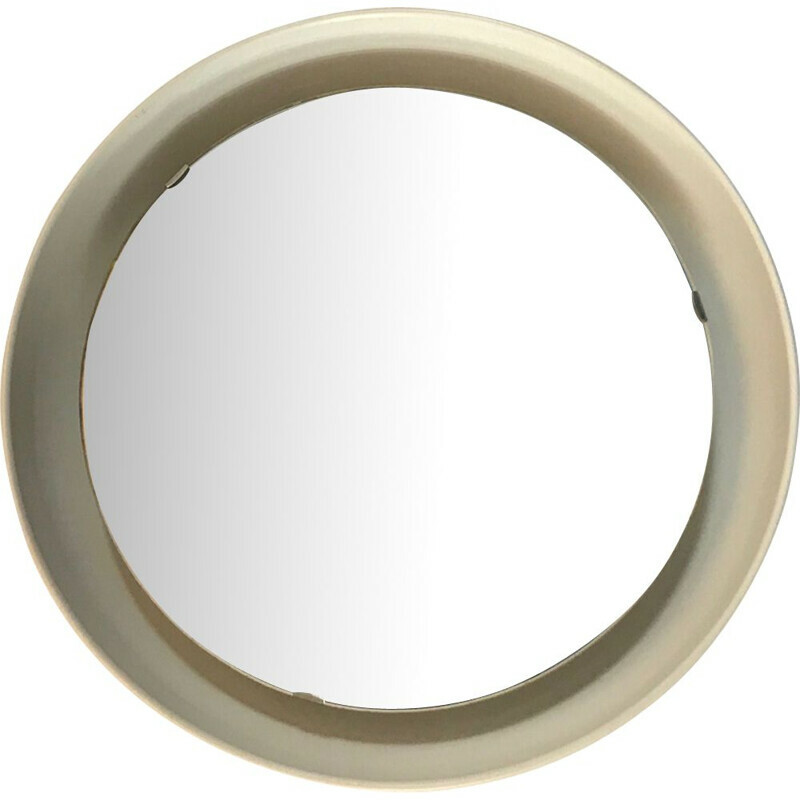 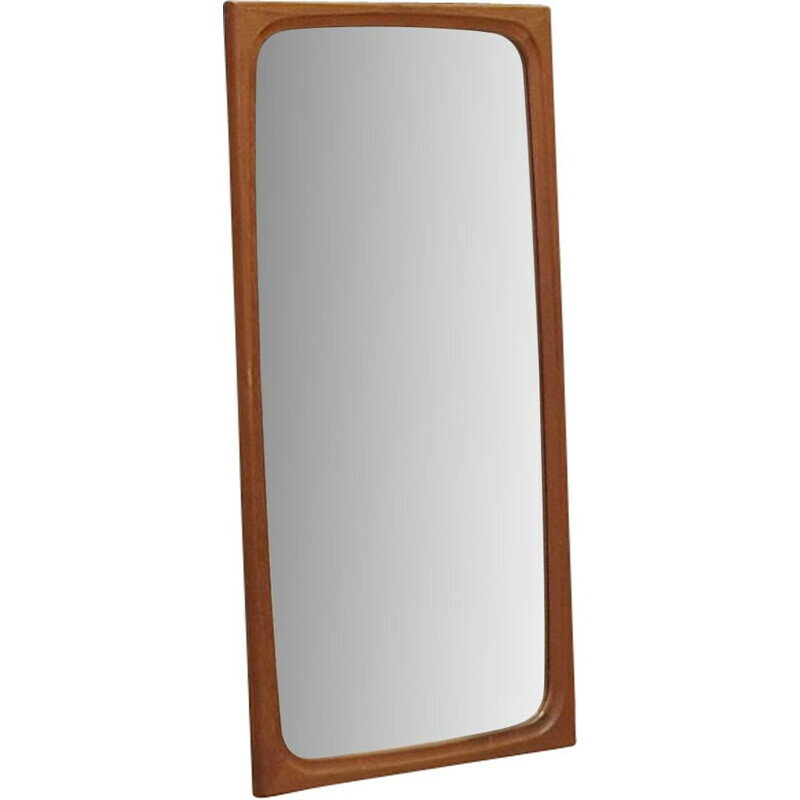 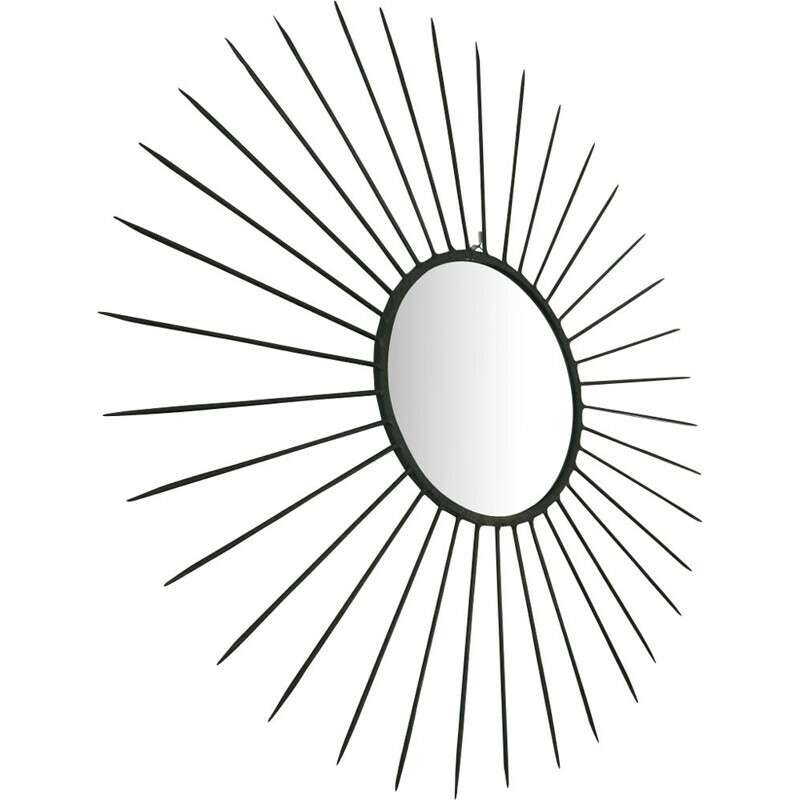 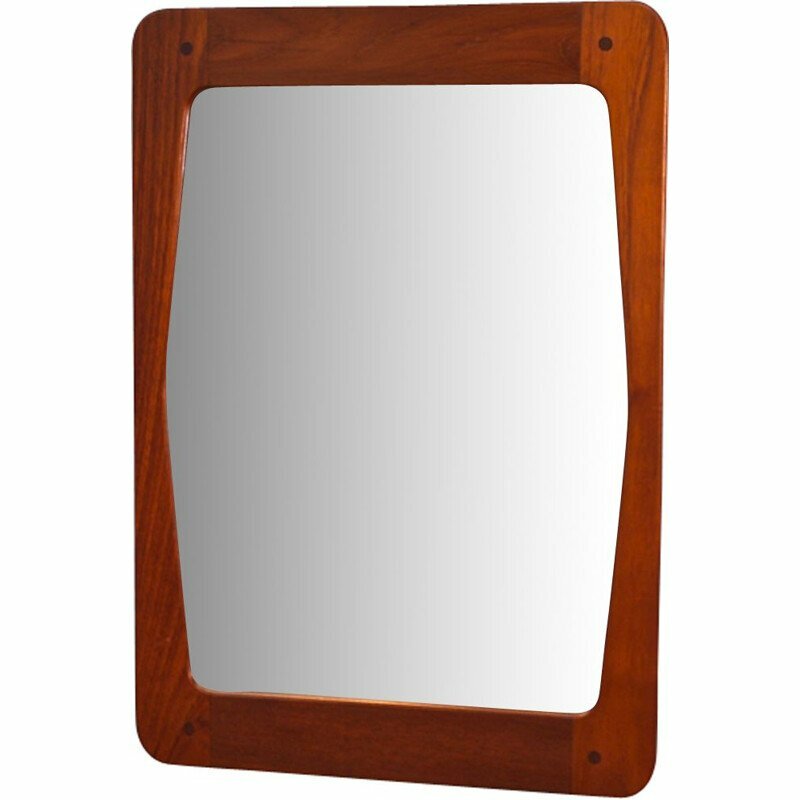 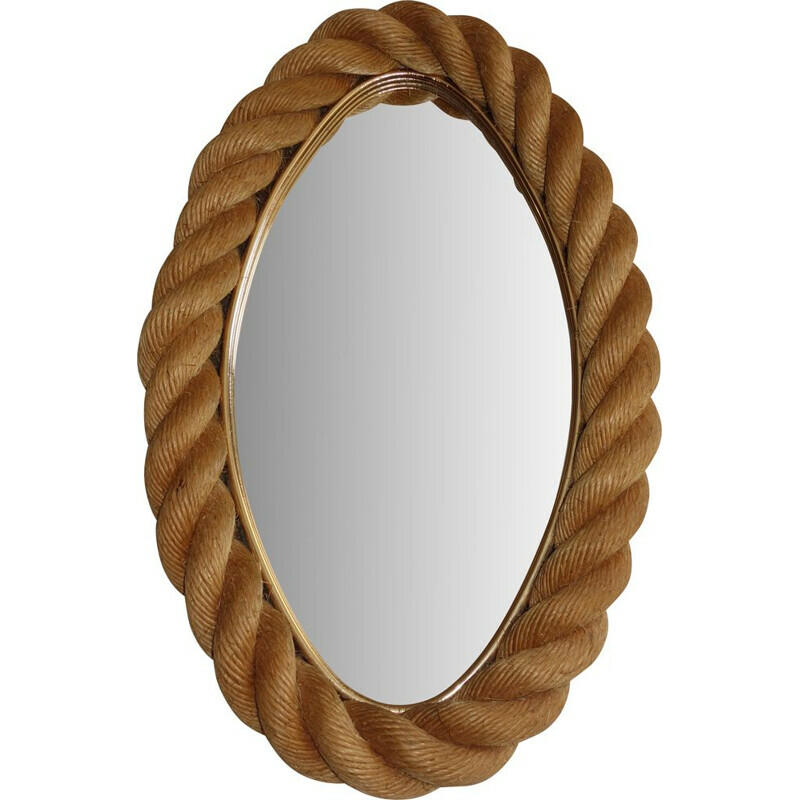 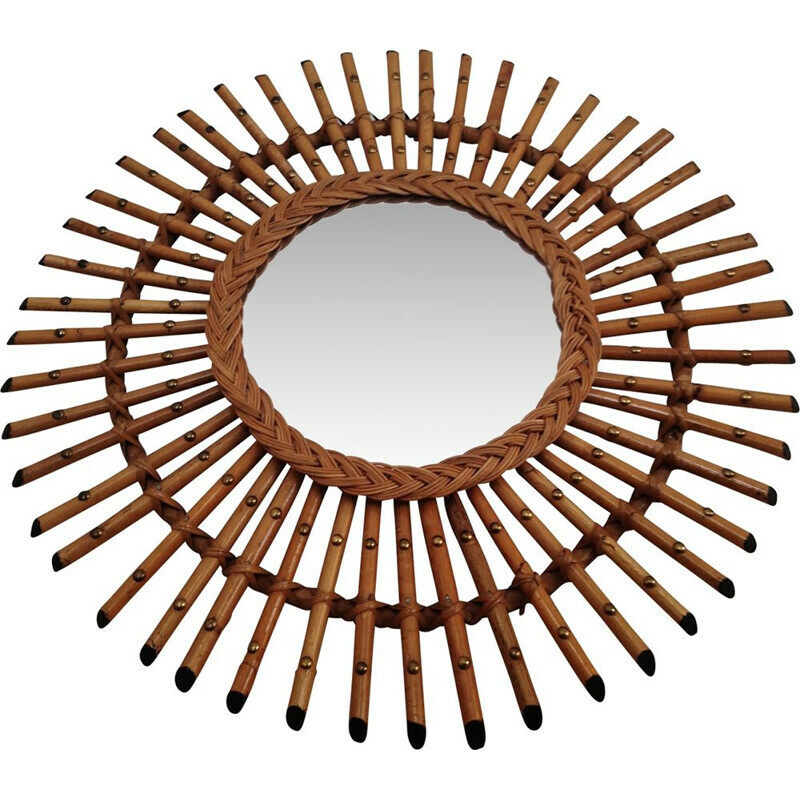 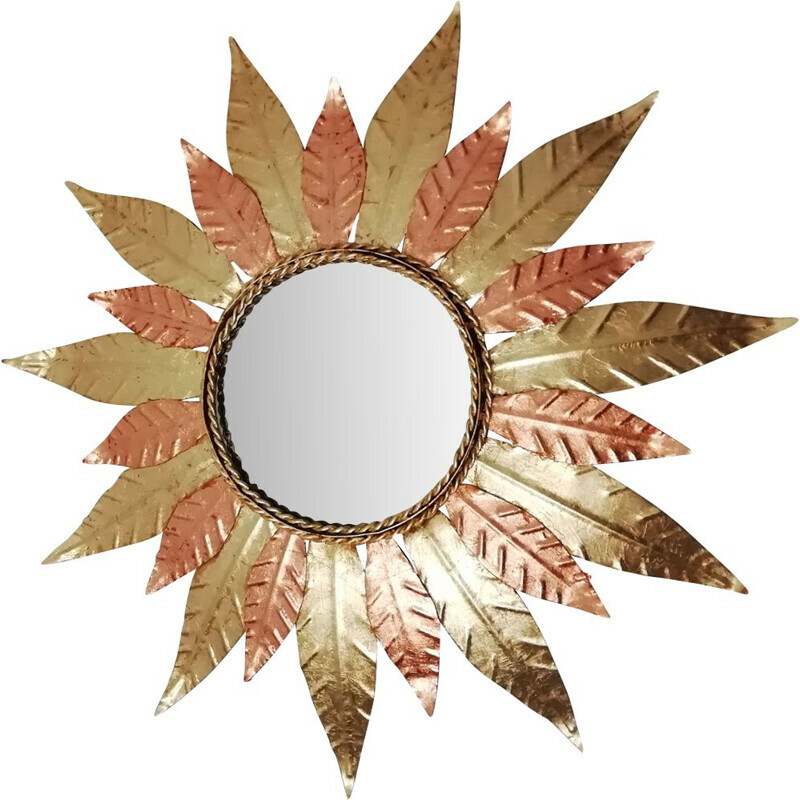 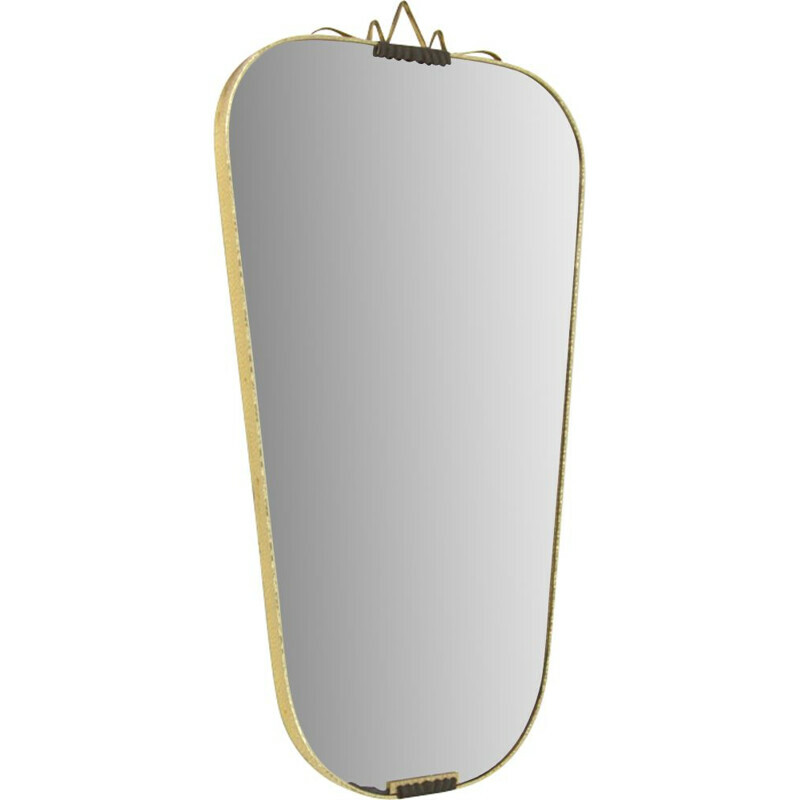 Rattan sun-type wall mirror made in England in the 1970s. 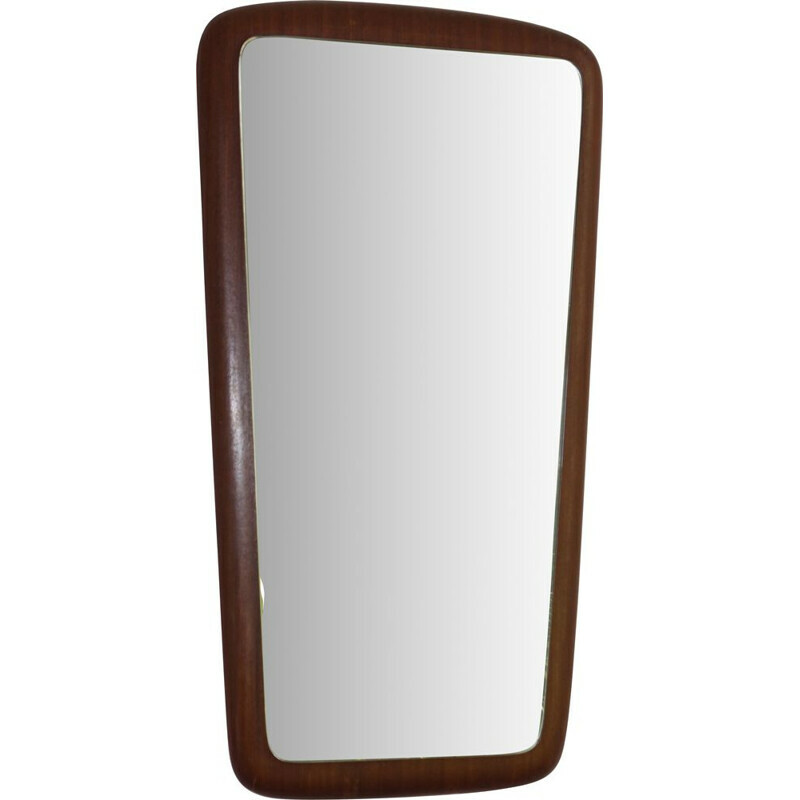 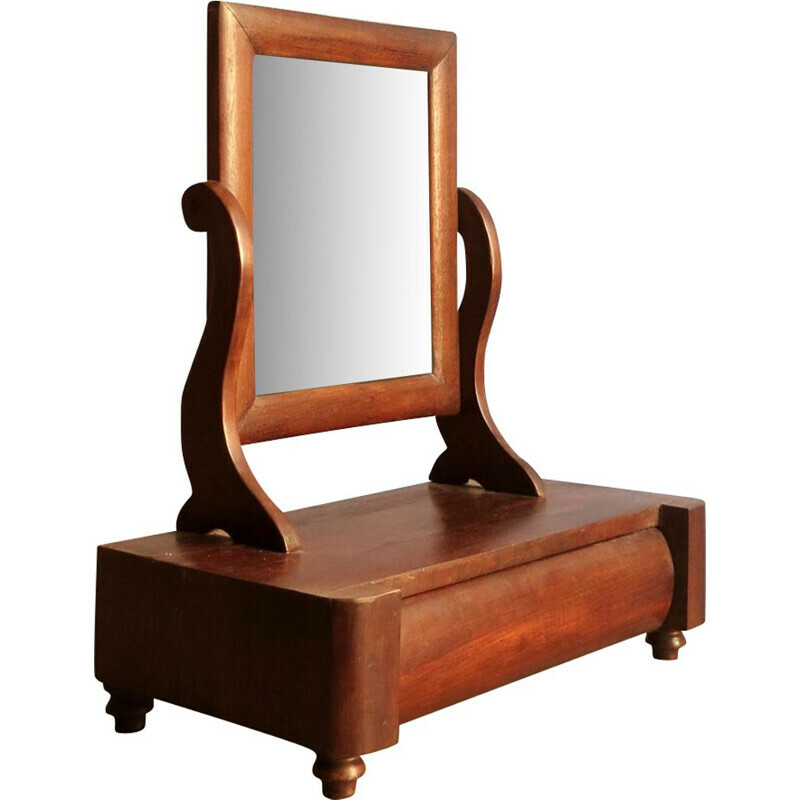 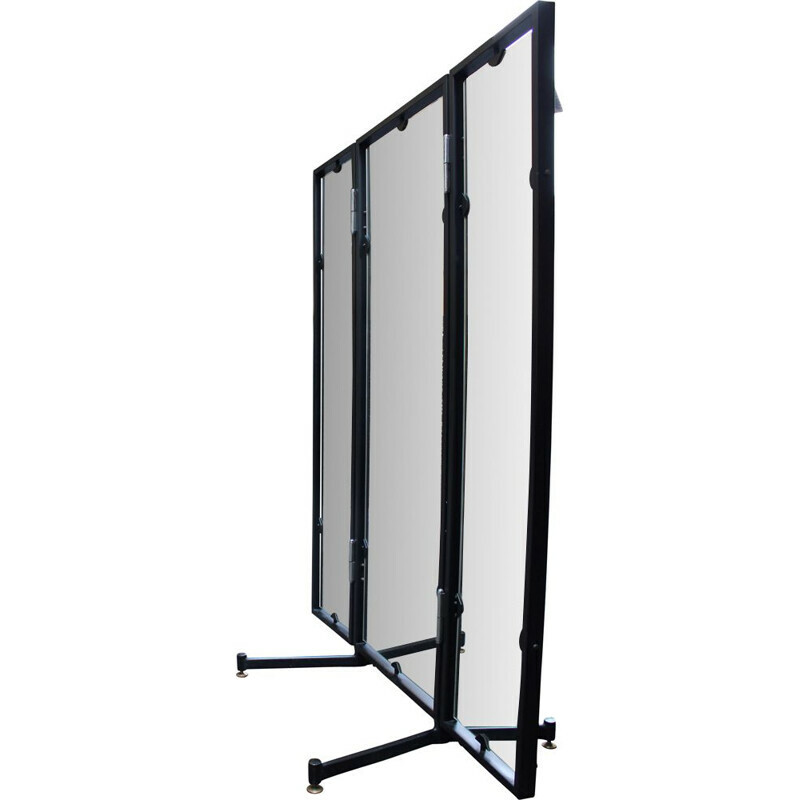 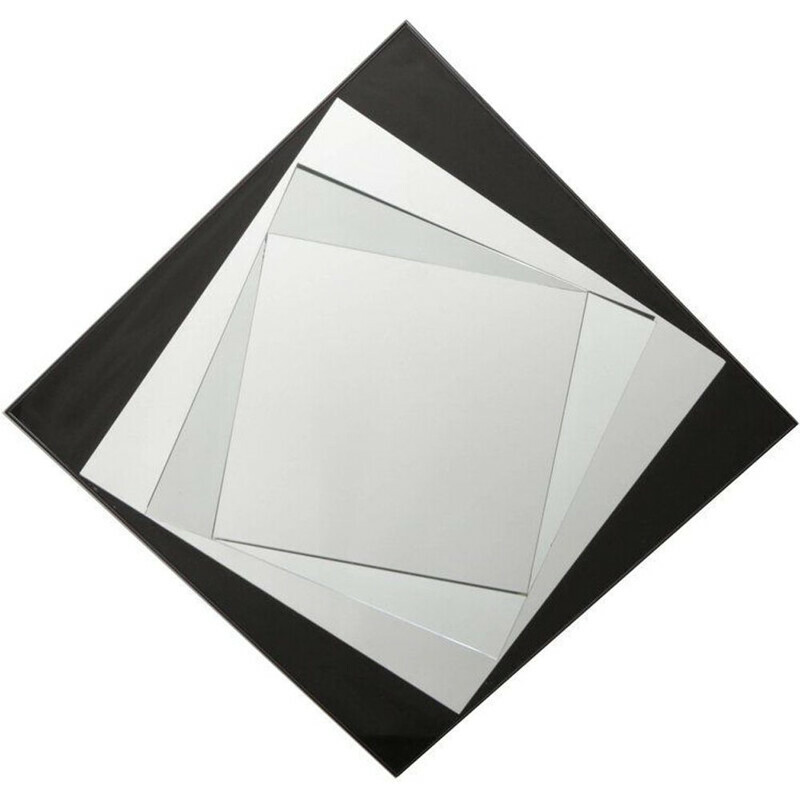 Mirror both frame and glass preserved in very good vintage condition, without cavities. 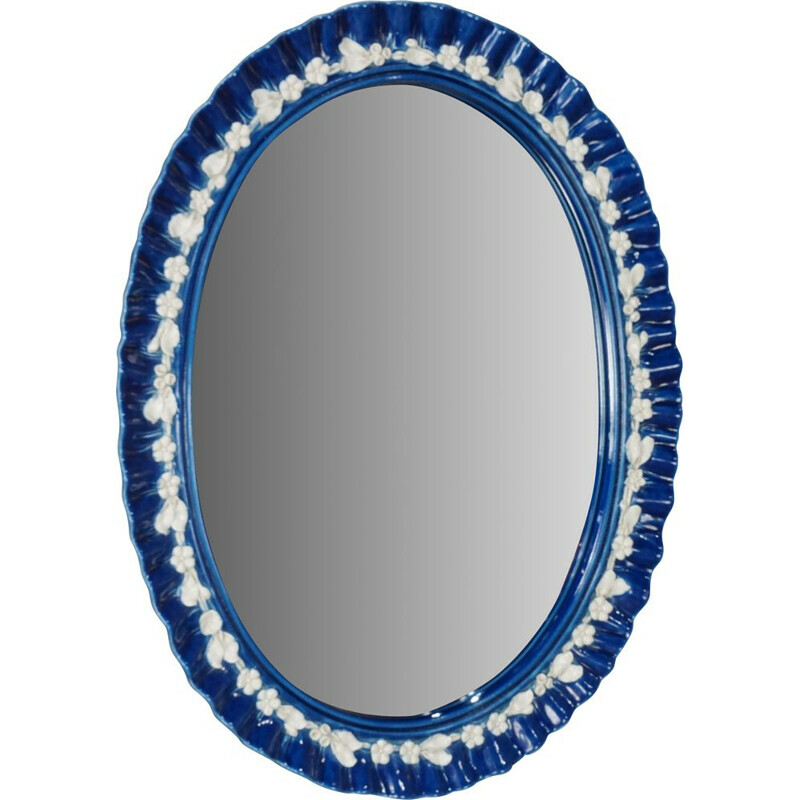 Dimensions: height 51 cm, depth 5 cm.